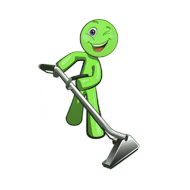 My Magic Cleaners is a company based in Cotswold offering high quality cleaning services in the area. Our aim is to make your home more beautiful than it was, that’s why we always do our best in order to satisfy the cleaning needs of our customers. If you need fast and effective service for your property you can call us at any time. We have teams of trained professionals with years of experience in providing carpet cleaning, oven cleaning, end of tenancy cleaning ,sofa and upholstery cleaning services. To book us is very easy. Just press book now and you will get an instant quote with 20% off by filling our price calculator. When you need professional carpet cleaning, please refer to the My Magic Cleaners. It's the only way to ensure that you get the best cleaning at affordable prices. Greasy spots, traces of mud or deep penetrated dirt don`t stand a chance when the My Magic Cleaners deal with laundering of fitted carpets or rugs in your home. If you own a holyday home and want to be sure that the house is well prepared for the guests My Magic Cleaners providing full holiday home cleaning service. Having a clean property is must for every family. That’s why My Magic Cleaners can offer reliable and affordable cleaning service created for the needs of every client. Moving out of your rented property is a stressful event. You have to deal with a lot of things during that and one of the most important is to get your deposit back. For the agencies and landlords is important to sort the property out as quick as possible for the new tenants. No matter how clean the home, mattresses are prone to the same problem. We produce up to half a liter of sweat every night & shed about a gram of skin each day and although we wear night clothes, which we wash regularly, together with our bed linen, this is no protection against what happens to the mattress. Every rug tells a story about the people who made it, own it and live with it every day. Different patterns, textures, shapes, sizes and colors complement the furniture and floors throughout a home while expressing the individual personalities and tastes of each rug’s design-savvy curator. My Magic Cleaners offers you full range of services for cleaning of soft furniture in your home. Your sofa, couch, chairs, recliners, mattresses, curtains are unique and require special care. Our experts will restore the look of your favorite furniture - quickly, efficiently and at low cost. My Magic Cleaners understand that cleaning the oven is an unpleasant job for everyone. Domestic products are inefficient to remove the dirt from your oven and is takes a long time for scrubbing to get rid of the dirt and grease. .